Seasons greetings! 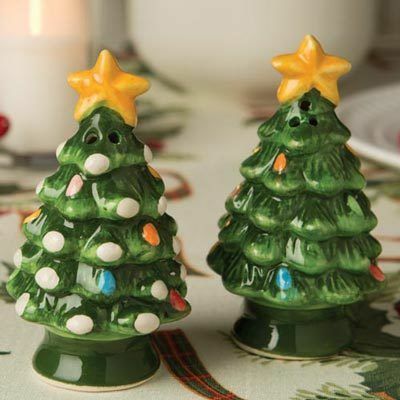 Spice up your holiday table with these whimsical tree-shaped shakers. Each is beautifully glazed and adorned with bright decorations; pepper includes snow. Salt and pepper not included. Stopper base. Hand wash. 4"h.